“Dolores hadn’t had a great time in her life. But the music that came out of her despite everything was incredible. I remember first hearing Zombie in the 1990s – that was the first time I was aware of her. Her voice caught me straight away. The way it went from this beautiful, soft whisper with this real Celtic vibe, to this huge rock voice, was fabulous, really unique. She didn’t get enough credit for that. I told her I was a fan of her band, and she told me she was a fan of the Kinks, and she had listened to us a lot growing up. We met up a few times and talked a lot about music. She talked about the problems with her dad, and how she was missing her children, about how she’d had to cancel tours, and how happy she could be making music. We had a mutual respect. We talked about writing together – I had an idea for a song called Home, about being home again, and she understood what I was trying to say. But we never sat down to do it, and that makes me really sad. She was very kind to me, too. We said we’d meet when she was next in London, and that was that. “Aretha Franklin’s voice — bred from gospel, blues and jazz, American traditions that reached indelible glory because they had to overcome America itself — made all the difference. It was how, in the words of a gospel song she loved, she got over. “You had a number of gospel singers who were filled with the spirit,” said writer Peter Guralnick. “She translated that spirit into the secular field. . . . She translated that feel and fire.” More than that, Franklin’s voice raised and defined her. Nobody came close to touching it, though she emboldened many others to follow her — Patti LaBelle, Gladys Knight, Natalie Cole, Chaka Khan, Whitney Houston, Alicia Keys and Beyoncé among them. More than any of them, Franklin possessed a roar that wasn’t merely technically breathtaking; it was also a natural and self-derived instrument that testified to her truths in ways she otherwise refused to address. Some say Franklin was insecure at times in her gift, but with something so fearsome moving through their body, mind and history, who wouldn’t be both daunted and proud? “And Chas didn’t stop writing, even when he was ill. He rewrote Sling Your Hook to make it about his cancer, and put it on our last album [2018’s A Little Bit of Us], which we recorded in Brian Juniper’s studio. He wrote a song with Paul Whitehouse recently for the new Only Fools and Horses musical. And when we played on Jools Holland in the summer, we played the last song Chas ever wrote, Wonder Where He Is Now, about fishing with his mate when he was a kid. We’re putting it out as a single soon. I thought that’d be a nice tribute for him. The last time we saw each other we went fishing. He’d seemed to pick up a bit, started to eat properly, and I thought, hello, he’s on the up now. But sadly, it wasn’t to be. We used to have a laugh fishing. Chas used to have a little private fishing lake, and we’d go there, take our little sandwich boxes, and Joan would come along and make us a cup of tea. The last picture I’ve got of us together, we’ve got fishing rods in our hands. I’m glad I’ve got that. “It’s impossible to listen to some of Hutchison’s songs now without thinking about the circumstances surrounding his death, as well as the highly public struggles with depression that preceded it. The fact that his body was found in a body of water called the Firth of Forth, where on The Midnight Organ Fight’s “Floating in the Forth” he had imagined his own suicide (before rejecting the idea “for another day”), became the stuff of tabloid news. Or take “Swim Until You Can’t See Land,” from 2010’s The Winter of Mixed Drinks, which seemed initially like a festival-friendly ode to persistence; its lyrics about a baptismal “drowning of the past” are tough to hear today. That Hutchison apparently couldn’t find the same relief that he brought to so many others, through his songs and his work with the UK’s Mental Health Foundation, is what’s most tragic. 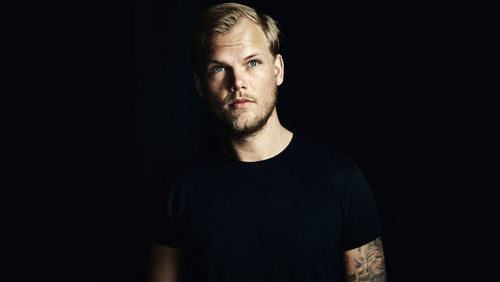 “One of the most defining moments of Avicii’s too-brief career came at the 2012 Ultra Music Festival, when Madonna appeared on stage to introduce him and their first collaboration, “Girl Gone Wild.” That the queen of pop acknowledged the then-22-year-old Tim Bergling — who died Friday at the age of 28 of undisclosed causes — as a peer and a collaborator wasn’t just a watershed moment for him, it was one for dance music as well. “He helped countless artists to get exposure, whether it was taking Kendrick Lamar, Chance the Rapper or The Internet on some of their first tours [as his support acts], or helping Vince Staples, Sza and Earl Sweatshirt with studio time, rides, production or just a conversation. He was available, always. He understood the benefit of lifting others up. 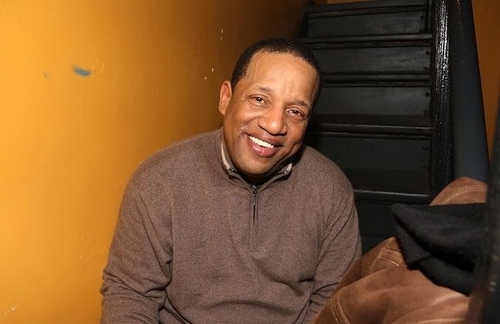 “To hear Lovebug Starski tell it, he was there when the phrase “hip-hop” was coined, trading the two words back and forth while improvising lines with Cowboy of the Furious Five at a farewell party for a friend who was headed into the Army. He incorporated the phrase into the D.J. sets he was playing in the South Bronx, helping to solidify it as lingo of the scene and inadvertently providing the opening line to “Rapper’s Delight,” the 1979 Sugarhill Gang song that would take hip-hop out of parties and onto the radio. Decades before hip-hop was the dominant influence on American popular culture, it was the work of Bronx teenagers gathering in parks, recreation centers and clubs and improvising a new approach to music by jury-rigging old records and technology. Lovebug Starski was a mainstay of this scene in the 1970s. He started out carrying records and equipment for the disco and funk D.J. Pete (DJ) Jones — one of the first to mix two copies of the same record — at the Starland Ballroom in the Bronx before becoming a D.J. in his own right, spinning at numerous Bronx clubs. “Mark E. Smith—the mad Mancunian genius behind The Fall, one of the most prolific, mercurial, confounding, and enduring bands of the post-punk age—has died, according to a statement from his manager, Pamela Vander. “It is with deep regret that we announce the passing of Mark E. Smith,” Vander wrote. “He passed this morning at home. A more detailed statement will follow in the next few days.” Smith, who had spent previous tours in wheelchairs, had been in particularly poor health the past few months, canceling a planned weeklong residency in Brooklyn over the summer and bowing out of U.K. gigs that he’d scheduled against the advice of his own bandmates and management team—stubborn and determined to keep the group going to the very last. Smith was 60 years old, and there will never be another like him.